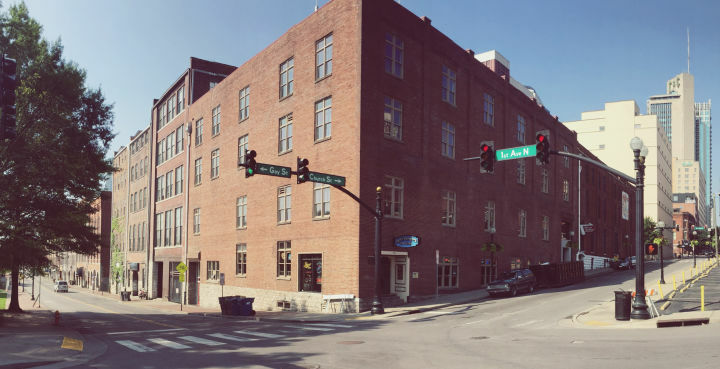 Set in the heart of Downtown Nashville, this hostel is ideal for exploring all that Music City has to offer. Welcome to HI Nashville Downtown, located on the Cumberland Riverfront, just blocks from the action on Broadway and 2nd Avenue. Whether you’re looking to see some incredible live music at Tootsie’s Orchid Lounge or catch an outdoor show at Ascend Amphitheater, the music that makes this city famous is at your fingertips. Check out the Country Music Hall of Fame, Johnny Cash Museum, or George Jones Museum to get to know the music legends that started it all. Venture outside of downtown to get some of Hattie B’s famous hot chicken and discover Nashville’s own Parthenon. 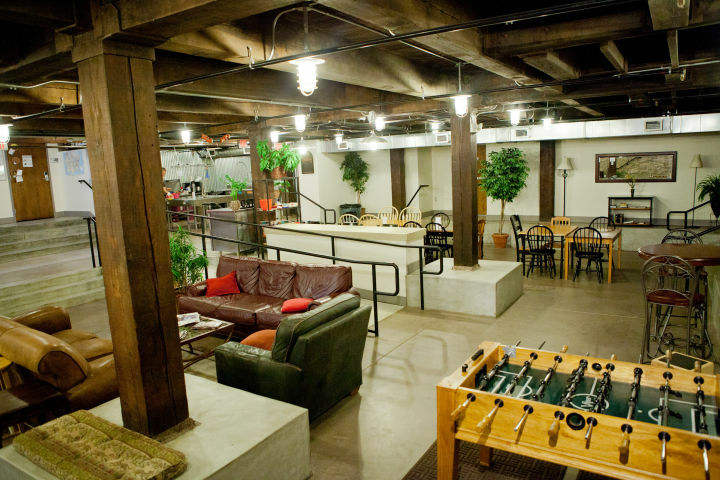 The HI Nashville Downtown hostel is housed in a beautifully renovated historic warehouse building built in the 1880s. 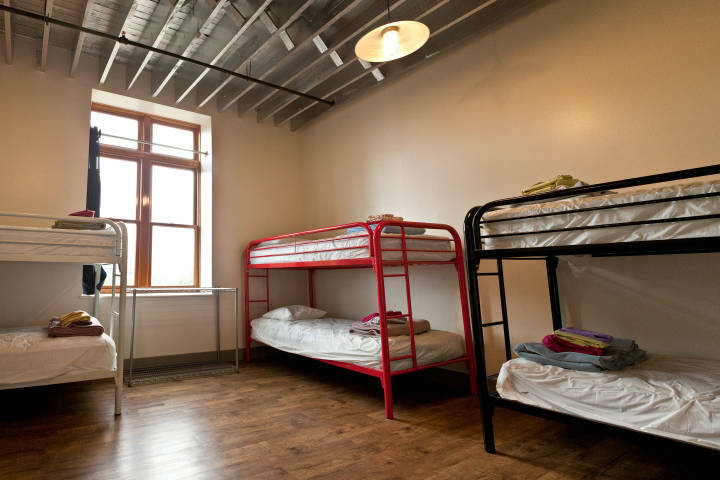 The hostel is designed to help travelers from around the world meet and connect with each other. 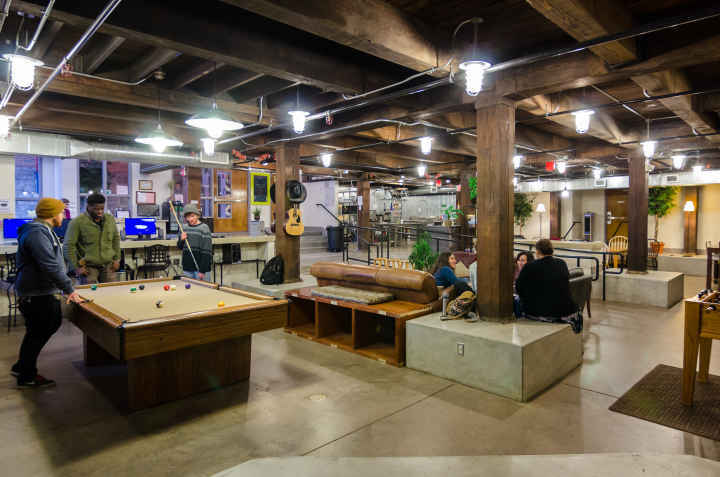 From the free wifi and industrial kitchen to the cozy lounge and game tables, you will feel right at home here. 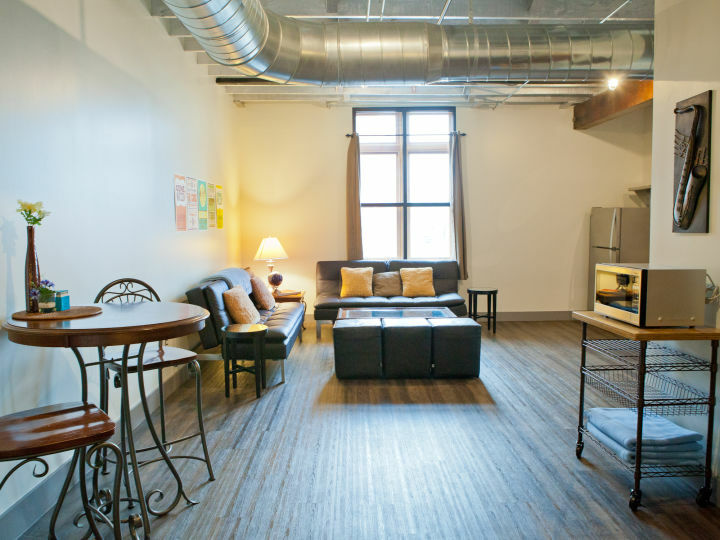 With both dorms and private rooms, HI Nashville Downtown is great for all kinds of travelers. 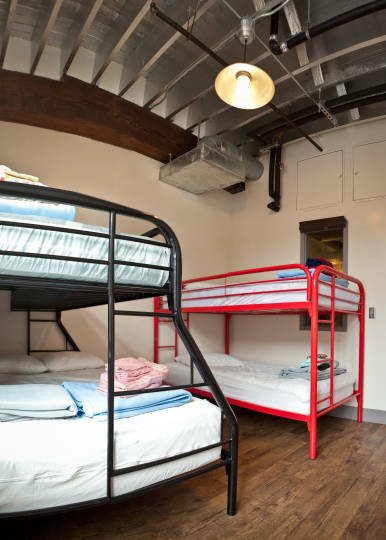 Additional taxes of 15.25% plus a nightly room fee (city tax) of 37 cents per bunk or $2.50 per private room due upon arrival. Les hébergements sont uniquement disponibles pour les clients dans un rayon supérieur à 60 mile autour de l'auberge de jeunesse. 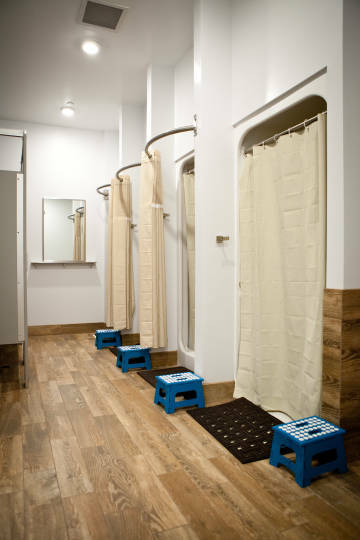 4/12/2019 The hostel is centrally located at walking distance of Broadway Avenue and other main attractions. 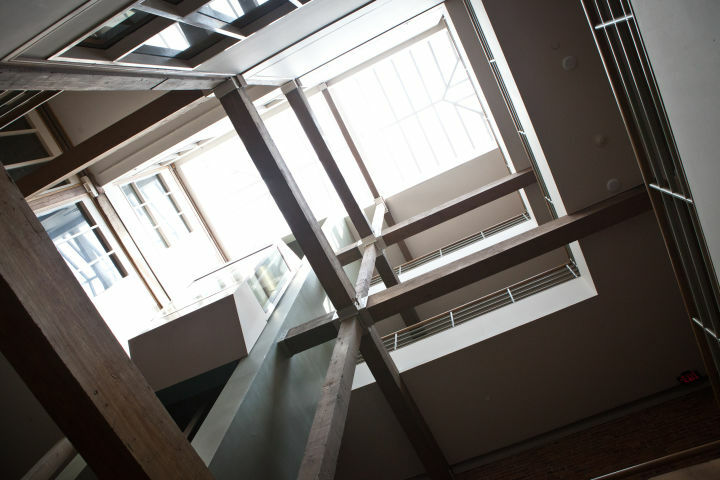 The rooms are not noisy but cold since the a/c system cannot be completely reduced being an old building. But speak to the manager and he would help you. The kitchen, rooms and restrooms are maintained cleaned. One towel is given free of charge upon arrival. No free breakfast is served but a large well-equipped kitchen is available for guests. The public bus line 18 to the airport (11 miles away) circulates every 30 minutes on 4th Avenue opposite the Marriot Courtyard hotel at walking distance of the hostel. Other bus lines 60, 61 and green, to the main downtown attractions, are free and would depart from the same bus stop as line 18 every 10 to 15 minutes. I rode all of them and saw the city free of charge. I stayed 5 nights and I enjoyed my stay in Nashville. The city is very packed on week-ends. 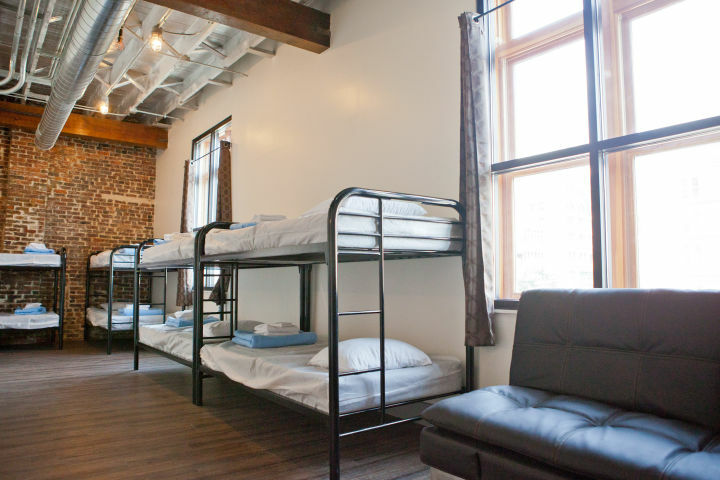 I would recommend the hostel to my friends. I was stunned not finding the Hi International logo on the front entrance door and I shared my feelings with Manager Allan. It is a must sign for us travelers to locate the hostel and make sure upon finding, we are at the right place and at home. Affiliated or not is not our concern. Philadelphia, New York, Boston, Honolulu, San Diego and much more domestic and international have the sign installed on the front part of the building/house. The Nashville has no sign at all and it is strange. Just place yourselves on our shoes. A clean, well run, inexpensive place to stay right downtown - 4 stars in my book! A minor suggestion: The lighting (bathrooms and kitchen especially) could be improved by just replacing the existing LED bulbs with "warm white" instead of the glaring bright white. Vary the background music in the main area more often. One evening someone put on some Jazz... what a pleasant relief from the pounding, boring rock and roll that was on most of the time. Fortunately the music was not too loud, thanks for that. Have stayed at this location before and had a good experience. This trip was no different. 1. Taxi is by far the easiest and most convenient. There is a fixed $25 fee between the airport and Downtown Nashville. You can hail a cab outside of baggage claim. 2. UBER/LYFT is a popular ride-sharing app that works similarly to a Taxi. This option costs around $20 from the airport to our doorstep. 3. City Bus #18 runs from the airport to downtown. It costs $1.70 however you should plan about 45 minutes of transit time. Greyhound Bus Station (709 5th Avenue South): From the Greyhound Station you can walk 1.1 miles to Nashville Downtown Hostel OR take a Taxi (about USD $8) to 177 1st Ave. North. Megabus stop is located at 5th/Charlotte. From the bus station head South on 5th Ave to Church Street (2 blocks). Turn East (left) on Church Street and we are at the corner of 1st/Church (5 blocks). Taxi is by far the easiest and most convenient. There is a fixed $25 fee between the airport and Downtown Nashville. You can hail a cab outside of baggage claim. 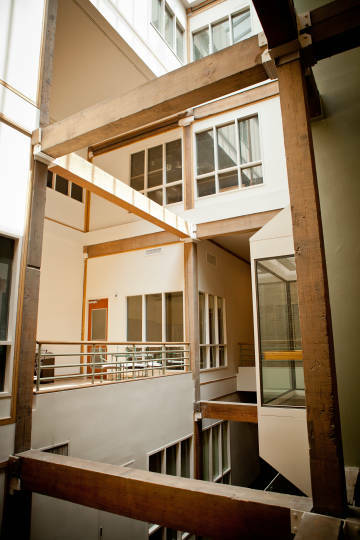 We are located 1-block North from the commuter rail station.